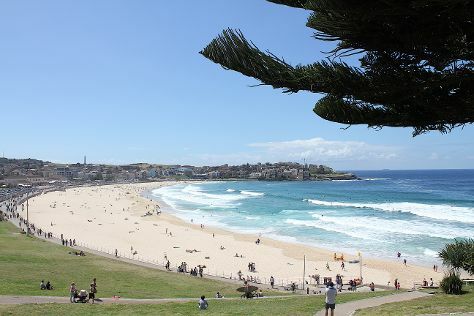 On the 3rd (Wed), hike along Bondi to Coogee Beach Coastal Walk, tour the pleasant surroundings at Bondi Beach, and then let little ones run wild at Cremorne Reserve. Keep things going the next day: look for all kinds of wild species at Hawthorne Canal Reserve. To see other places to visit, more things to do, ratings, and tourist information, you can read our Sydney trip itinerary planning website . Brussels, Belgium to Sydney is an approximately 25-hour flight. You can also do a combination of train and flight; or do a combination of flight and bus. The time zone changes from Central European Time to Australian Eastern Standard Time (New South Wales), which is usually a 9 hour difference. Expect a bit cooler temperatures when traveling from Brussels in July; daily highs in Sydney reach 21°C and lows reach 9°C. On the 4th (Thu), wrap the sightseeing up by early afternoon so you can travel to Perth. Start off your visit on the 5th (Fri): get great views at Elizabeth Quay, enjoy the sand and surf at Scarborough Beach, and then look for all kinds of wild species at Caversham Wildlife Park. 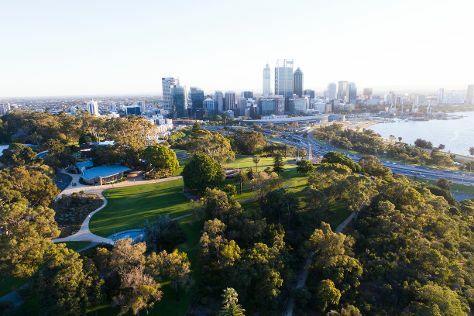 Get ready for a full day of sightseeing on the 6th (Sat): take in nature's colorful creations at Kings Park & Botanic Garden, appreciate the history behind Kings Park War Memorial, and then explore the activities along Swan River. For reviews, where to stay, other places to visit, and tourist information, go to the Perth vacation builder . You can fly from Sydney to Perth in 7.5 hours. Other options are to drive; or do a combination of bus and train. The time zone difference when traveling from Sydney to Perth is minus 2 hours. Expect a daytime high around 21°C in July, and nighttime lows around 8°C. 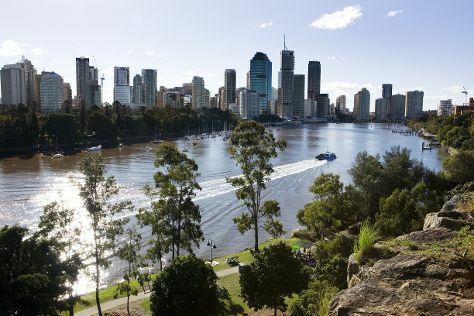 On the 7th (Sun), wrap the sightseeing up by early afternoon so you can travel to Brisbane. 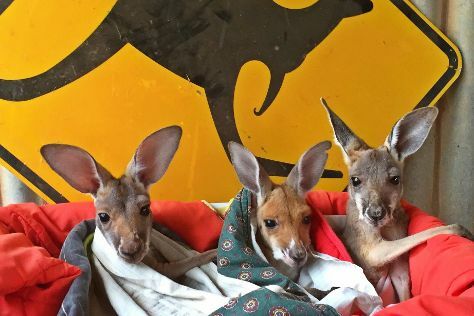 Kick off your visit on the 8th (Mon): identify plant and animal life at Lone Pine Koala Sanctuary and then get great views at Mount Coot-tha Lookout. Here are some ideas for day two: get your game on at South Bank Parklands and then take in nature's colorful creations at City Botanic Gardens. For reviews, photos, and more tourist information, use the Brisbane day trip planner. Getting from Perth to Brisbane by flight takes about 8 hours. Other options: do a combination of flight and bus; or drive. Due to the time zone difference, you'll lose 2 hours traveling from Perth to Brisbane. In July, daytime highs in Brisbane are 24°C, while nighttime lows are 11°C. Finish your sightseeing early on the 9th (Tue) to allow enough time to travel to Uluru-Kata Tjuta National Park. Escape the urban bustle at Kuniya Walk and Uluru. There's much more to do: explore the striking landscape at Kata Tjuta, head outdoors with Walpa Gorge, view the masterpieces at Walkatjara Art, and admire the verdant scenery at Valley of the Winds. Getting from Brisbane to Uluru-Kata Tjuta National Park by flight takes about 5.5 hours. Other options: drive. Traveling from Brisbane in July, Uluru-Kata Tjuta National Park is little chillier at night with lows of 4°C. Finish up your sightseeing early on the 13th (Sat) so you can travel to Alice Springs. Visiting The Kangaroo Sanctuary and Ewaninga Rock Carvings Conservation Reserve will get you outdoors. You'll visit kid-friendly attractions like Alice Springs Desert Park and Walking tours. Next up on the itinerary: identify plant and animal life at Alice Springs Reptile Centre, take your sightseeing to a higher altitude at Mount Gillen, explore the striking landscape at The Emily and Jessie Gaps Nature Park, and steep yourself in history at Alice Springs Telegraph Station Historical Reserve. For traveler tips, maps, photos, and tourist information, refer to the Alice Springs trip itinerary planning site . Getting from Uluru-Kata Tjuta National Park to Alice Springs by combination of flight and taxi takes about 2 hours. Other options: drive. July in Alice Springs sees daily highs of 24°C and lows of 3°C at night. Finish your sightseeing early on the 16th (Tue) to allow enough time to travel to Darwin. Get in touch with nature at Nature & Wildlife Tours and Crocosaurus Cove. Attractions like Litchfield National Park and Mindil Beach make great kid-friendly stops. Next up on the itinerary: take a leisurely stroll along Darwin Wharf Precinct, see the world from above with a helicopter tour, cool off at Wave Lagoon, and race across the water with a speed boat tour. For more things to do, traveler tips, maps, and other tourist information, read our Darwin route builder website . Traveling by flight from Alice Springs to Darwin takes 5.5 hours. Alternatively, you can drive; or take a bus. When traveling from Alice Springs in July, plan for somewhat warmer days and much warmer nights in Darwin: temperatures range from 36°C by day to 22°C at night. Cap off your sightseeing on the 20th (Sat) early enough to travel to Brisbane. Kick off your visit on the 21st (Sun): tour the pleasant surroundings at Dicky Beach and then kick back and relax at Shorncliffe Beach. On the 22nd (Mon), you'll have a packed day of sightseeing: take in nature's colorful creations at Brisbane Botanic Gardens Mt. Coot-tha and then get your game on at South Bank Parklands. Getting from Darwin to Brisbane by flight takes about 6 hours. Other options: drive; or take a bus. In July, Brisbane is slightly colder than Darwin - with highs of 24°C and lows of 11°C. Wrap up your sightseeing on the 23rd (Tue) early enough to travel to Airlie Beach. On the 23rd (Tue), see some colorful creatures with a scuba or snorkeling tour. Keep things going the next day: take a memorable tour with Tours, view the masterpieces at Above & Below Photography, and then enjoy the sand and surf at Airlie Beach Lagoon. For ratings, maps, traveler tips, and tourist information, use the Airlie Beach sightseeing planner . Getting from Brisbane to Airlie Beach by combination of flight and bus takes about 5 hours. Other options: do a combination of flight and ferry; or drive. Traveling from Brisbane in July, Airlie Beach is somewhat warmer at night with lows of 20°C. Wrap up your sightseeing on the 25th (Thu) to allow time to ride a ferry to Whitsunday Island. Start off your visit on the 25th (Thu): step off the mainland to explore Whitsunday Islands National Park. On the 26th (Fri), you'll have a packed day of sightseeing: kick back and relax at Whitehaven Beach and then explore the activities along Hill Inlet. 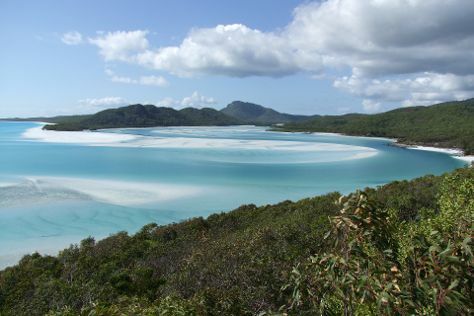 For ratings, photos, and tourist information, read our Whitsunday Island road trip website . You can ride a ferry from Airlie Beach to Whitsunday Island in 1.5 hours. Traveling from Airlie Beach in July, you can expect nighttime temperatures to be little chillier in Whitsunday Island, with lows of 13°C. Wrap up your sightseeing on the 27th (Sat) early enough to travel to Hayman Island. On the 27th (Sat), head off the coast to Hiking & Bushwalks One&Only Hayman Island. To find more things to do, traveler tips, maps, and tourist information, use the Hayman Island trip planner. The Route module can help you plan travel from Whitsunday Island to Hayman Island. Traveling from Whitsunday Island in July, you will find days in Hayman Island are a bit cooler (24°C), and nights are a bit warmer (20°C). Wrap up your sightseeing by early afternoon on the 28th (Sun) to allow enough time to travel to Hamilton Island. Step out of the city life by going to Catseye Beach and Hamilton Island Golf Club. Attractions like Wild life Hamilton Island and Go-Kart Racing Track make great kid-friendly stops. And it doesn't end there: take in the waterfront activity at Hamilton Island Marina, make a trip to Passage Peak, get your game on at Sports Club, and head outdoors with Jetryder. For where to stay, reviews, photos, and other tourist information, go to the Hamilton Island road trip planner. Use the Route module to find suitable travel options from Hayman Island to Hamilton Island. Expect a daytime high around 25°C in July, and nighttime lows around 21°C. Finish your sightseeing early on the 31st (Wed) to allow enough time to travel to Brisbane. 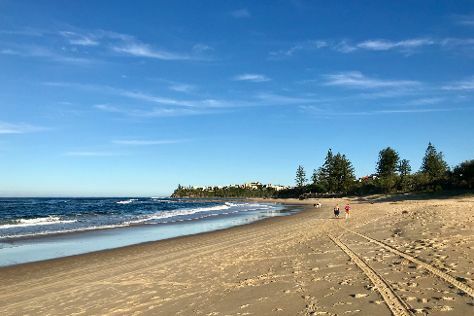 Kick off your visit on the 31st (Wed): enjoy the sand and surf at Moffat Beach, explore the activities along The Brisbane River, and then admire the natural beauty at Roma Street Parkland. On the 1st (Thu), you'll have a packed day of sightseeing: find something for the whole family at Dreamworld. To find where to stay, photos, and more tourist information, you can read our Brisbane vacation planning app . Fly from Hamilton Island to Brisbane in 3.5 hours. Alternatively, you can do a combination of ferry, bus, and train; or do a combination of ferry and bus. Traveling from Hamilton Island in July, Brisbane is slightly colder at night with lows of 11°C. Wrap up your sightseeing by early afternoon on the 2nd (Fri) to allow time for travel to Melbourne. 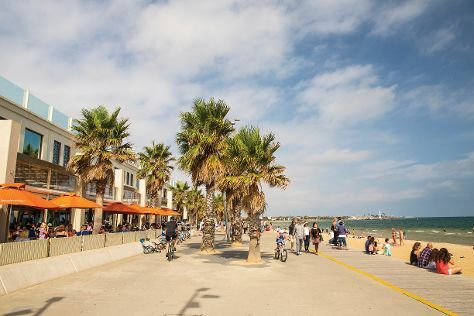 Here are some ideas for day two: take in panoramic vistas at Eureka Skydeck 88, stroll through St. Kilda Beach, then admire nature's wide array of creatures at Melbourne Zoo, and finally make a trip to Flinders Street Station. To find other places to visit, traveler tips, where to stay, and more tourist information, you can read our Melbourne day trip planning tool . Fly from Brisbane to Melbourne in 4.5 hours. Alternatively, you can do a combination of bus and flight; or drive. Traveling from Brisbane in August, things will get little chillier in Melbourne: highs are around 16°C and lows about 6°C. Wrap up your sightseeing by early afternoon on the 5th (Mon) to allow enough time to travel to Adelaide. 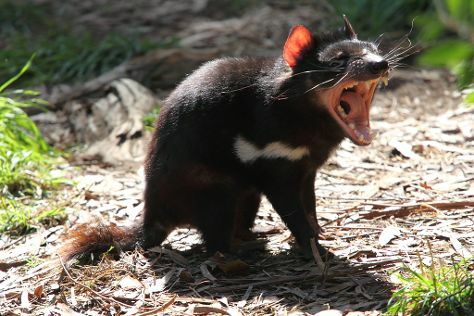 Kids will enjoy Cleland Wildlife Park and Adelaide Zoo. You'll enjoy a bit of beach vacationing at Aldinga Beach and Semaphore Beach. Go for a jaunt from Adelaide to Hahndorf to see Beerenberg Farm about 32 minutes away. Dedicate the 8th (Thu) to wine at some of the top wineries in the area. 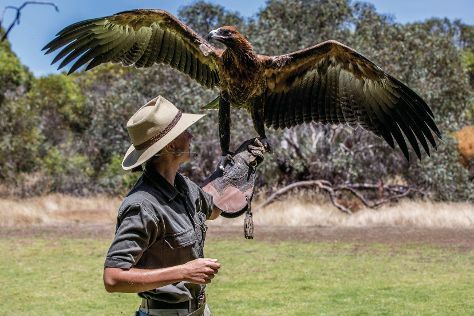 And it doesn't end there: admire the natural beauty at Adelaide Botanic Garden, steep yourself in history at Old Gum Tree Reserve, and see where the action happens at Adelaide Oval. To see reviews, photos, other places to visit, and tourist information, use the Adelaide online trip planner . Traveling by flight from Melbourne to Adelaide takes 3.5 hours. Alternatively, you can drive; or take a train. In August, daytime highs in Adelaide are 18°C, while nighttime lows are 8°C. Wrap up your sightseeing on the 8th (Thu) to allow time to travel to Kangaroo Island. Kick off your visit on the 9th (Fri): explore the wealth of natural beauty at Flinders Chase National Park. Get ready for a full day of sightseeing on the 10th (Sat): identify plant and animal life at Raptor Domain and then look for all kinds of wild species at Seal Bay Conservation Park. For maps, reviews, traveler tips, and more tourist information, you can read our Kangaroo Island online itinerary builder . Traveling by combination of flight and taxi from Adelaide to Kangaroo Island takes 2.5 hours. Alternatively, you can do a combination of car and ferry; or do a combination of bus, ferry, and taxi. On the 11th (Sun), wrap the sightseeing up by early afternoon so you can travel to Sydney. Start off your visit on the 12th (Mon): meet the residents at Sea Life Sydney Aquarium and then take a memorable tour with Tours. To see photos, other places to visit, more things to do, and other tourist information, you can read our Sydney sightseeing planner. Traveling by combination of taxi and flight from Kangaroo Island to Sydney takes 5.5 hours. Alternatively, you can do a combination of car and ferry; or do a combination of taxi, ferry, bus, and train. Finish up your sightseeing early on the 12th (Mon) so you can travel back home.